People talk about being “free” to do whatever they want, especially as a reason not to accept Christ. They say they don’t want to have to follow a bunch of rules, but just want to do whatever they please. But they can’t do whatever they please; that’s a lie. Human beings are incapable of doing whatever they please. An addiction or habit you couldn’t break? A desire you could not make go away? A person you couldn’t force yourself to like, or be nice to? An emotion you couldn’t stop from surfacing and controlling your mood and your actions? Thoughts you couldn’t stop from running through your head? Limitations on your life because of the status of a relationship (married, single, divorced, etc.)? Issues due to physical, emotional or mental limitations? Things you couldn’t purchase due to a lack of finances? A situation where you wanted something, but for some reason, couldn’t obtain it? Humans naturally are slaves to their bodies, their minds, their situations, their emotions and their circumstances. Things outside of our control can at any time limit us from doing whatever we please. We can’t control things outside of ourselves: others, circumstances, and situations. We can’t even control things inside of ourselves: our body, mind, emotions, and even our will. People talk about free will, that we can choose to do good or evil. But how many people have done evil that they didn’t want to do, and felt they had no choice in the matter at the moment it happened. You were swept away in the grip of something stronger than you when you did it. For all your efforts and free will, you were not free to stop yourself. And how about times you really wanted to do something good for yourself or someone, but you just couldn’t do it? For all your efforts and free will, you were not able to make yourself do something. 18 For I know that good itself does not dwell in me, that is, in my sinful nature. [c] For I have the desire to do what is good, but I cannot carry it out. 19 For I do not do the good I want to do, but the evil I do not want to do—this I keep on doing.20 Now if I do what I do not want to do, it is no longer I who do it, but it is sin living in me that does it. Notice that this section ends on a positive note – that we can be delivered from the sin waging war against our will and desires through deliverance by God by taking Jesus Christ as our Lord. But what I want to point out is that just being in Christ still does not make us FREE in the natural sense. Our body, our mind, our thoughts, are emotions, our will, are just as they were prior to our conversion when we took Him as Saviour. The only thing different is that His Spirit now lives in us. But that one difference brings with it our ONLY hope to be FREE, because with His Spirit comes God’s mind and God’s power, two forces that can transform every situation, every relationship, every physical and mental illness, and every hurt, habit and hang-up. But I want to say it again – even by having God’s Spirit within them, Christians who have accepted Jesus as Saviour are not “free”. What I mean is this – Freedom comes with a price; it is contingent upon one thing – servanthood. Only Christians who have taken Jesus as LORD and have become His servant can be FREE. Everyone, in heaven, on earth and in hell, serves something or someone. There is absolutely no exception. The unsaved man is described as serving created things. Most of the time, they serve themselves, or possibly, altruistic people may serve others. But that type of service does NOT lead to freedom. But the Christian is called to serve God and serve others as God directs us to serve them. Jesus said he did not come to be served, but to serve God so others would be saved. When Jesus was baptized, God the Father proclaimed that Jesus was His servant. “Here is my servant whom I have chosen, the one I love, in whom I delight; I will put my Spirit on him, and he will proclaim justice to the nations. Jesus also stated that the Father will honor those that follow and serve Jesus. We have to remember that we cannot only determine to serve God, but must serve others (as God directs us) as well, even those we do not feel like serving. Religious people try to serve a set of religious rules and regulations, but if they try to make themselves righteous (right with God) by following one law, they are then obligated to also judge themselves by how they have or have not followed every single law. If you break just one law, you are a lawbreaker. Jesus came so that we could serve not a written code of rules, but serve a living God by the power of His Spirit living within us. It is only upon His servants that God says He will pour out His Spirit and the power and mind of God that dwells within it. FREEDOM for a Christian is always conditional. This means that we can only be free IF we do something in particular, and that something is submit to God’s Holy Spirit within us, and allow His power and His thoughts to flow through us to serve Him and serve others. Our measure of freedom is contingent upon our measure of servanthood to God and man. Paul’s ability to understand, teach and proclaim God’s message of salvation came only through the power of God’s Spirit. He received the message through revelation by God speaking directly to Him, and Paul’s ability to do miracles, teach and preach were given by God’s divine empowerment (God’s grace). If you want to be truly FREE, then you have to choose to submit and surrender yourself, your will, your emotions, your desires, your dreams and your body to God as His servant. THEN He will release His grace gifts (His divine empowerment gifts) in your life to release you from bondages. As you obey Him and serve others as HE directs you to do, He will release more deliverance power by His Holy Spirit. His characteristics (the fruit of the Spirit) will become more and more evident in your daily life. Let me also explain the difference between a slave and a bond servant. A slave is purchased regardless of His will, to serve someone else. A bond servant willingly sells himself into servitude to someone. AND to do the things you are CALLED to do but don’t want to do. 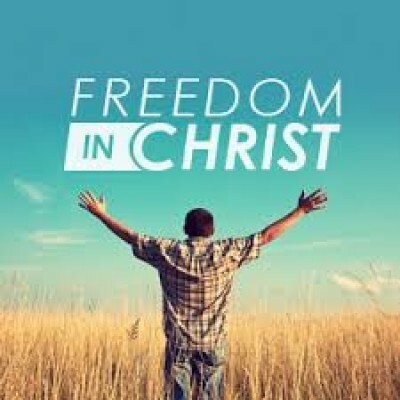 THAT is true freedom, and THAT is the freedom that comes from God through His Spirit ONLY to His servants, those who are surrendering to Jesus Christ as Lord. Surrender, but then add to that submission ACTION, service, as led by God.